Depression is a serious and devastating illness that can rob you of the pleasures and joys of life. According to the Anxiety and Depression Association of America, over 15 million Americans are affected by the major depressive disorder, and it is the leading cause of disability for those aged 15 to 44. For some, the darkness of depression continues on, unabated, despite the best treatments. This can leave many feeling helpless, lost, and alone in their struggle. Fortunately, you’re never as helpless as you might feel, and there are a number of things you can do that will work alongside counseling and medication to help you take back your life. These are natural, everyday activities in which anyone can participate. These natural remedies do take a healthy dose of willpower, planning, and discipline, though, so we’re going to help you out by guiding you through each. With the Genetic Engineering Appraisal Committee, an Environment Ministry body that evaluates genetically modified crops, approving transgenic mustard for environmental release, a key hurdle remains before farmers can cultivate it: Environment Minister Anil Dave’s approval, under a procedure set down by the UPA government. The technology of genetic engineering is an evolving one and there is much, especially on its impact on human health and environment that is yet to be understood properly. The scientific community itself seems uncertain about this. In fact, globally, there is a clear view that GM crops must not be introduced in centers of origin and diversity. India also has mega biodiversity hotspots like the Eastern Himalayas and the Western Ghats which are rich in biodiversity yet ecologically very sensitive. Hence it will only be prudent for us to be careful before we jump on to the bandwagon of any technology. Beijing’s prestigious Tsinghua University and two other Chinese colleges will carry out the survey, said Jin Jianbin, a professor at Tsinghua’s School of Journalism and Communication. The poll, sponsored by the government, will be carried out in tandem with a campaign on social media to broadcast basic knowledge on GMO technology, which is widely misunderstood in the country, Jin said. China is the world’s fourth-largest grower of GMO cotton and the top importer of soybeans, most of which are genetically modified and used for cooking oil and animal feed for pigs and chickens. 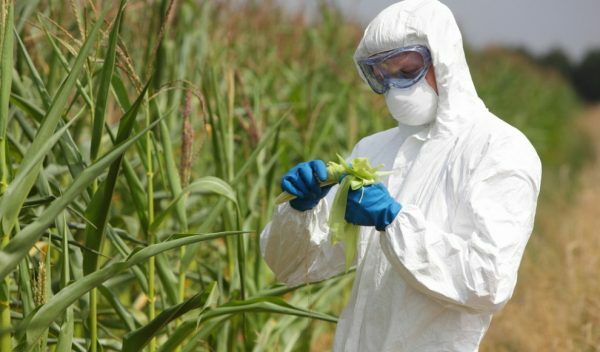 But public concern over food safety issues and skepticism about the effects of consuming GMO foods have made the government reluctant to introduce the technology for staple crops. A 2012 trial of so-called Golden Rice — a yellow GMO variant of the grain that produces beta-carotene — caused a public storm after reports that the rice was fed to children without the parents being aware that it was genetically modified. Producers of GMO crops claim they offer improved yields, enhanced nutritional value and resistance to drought, frost and insects. Critics have raised concerns over safety and potential adverse ecological effects. 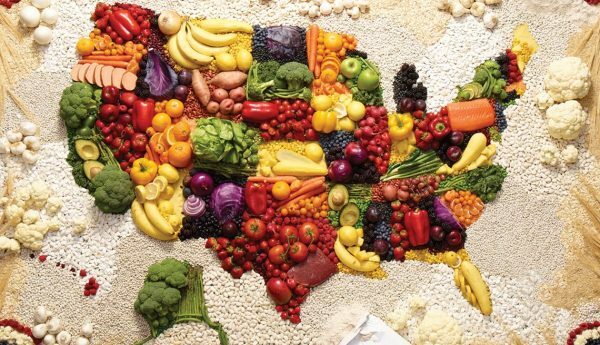 Last year, the U.S., the world’s largest producer of GMO crops, mandated that food makers label products with modified ingredients. EU lawmakers this month objected to imports of herbicide-resistant strains of corn and cotton. 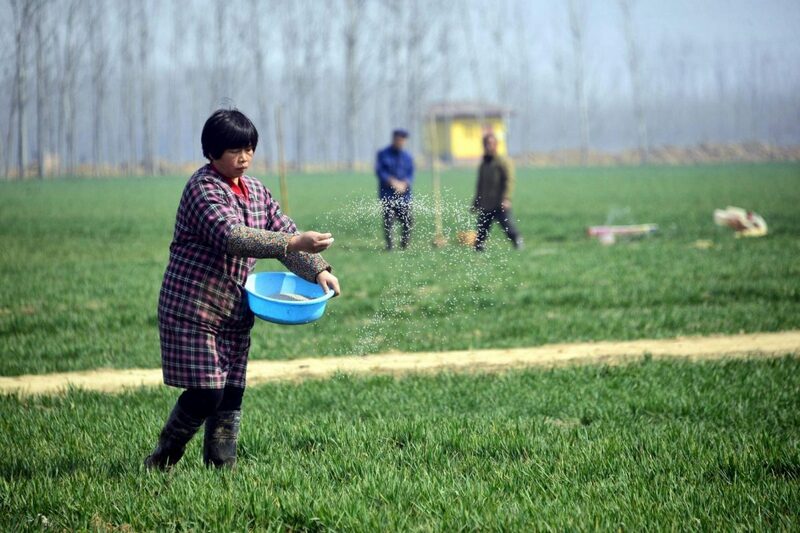 China itself has spent billions on research of its own GMO technology over the past decade, but has not allowed commercial production of grains, with scientists citing public resistance as part of the reason for the delay. China has said that it will allow commercial production of modified corn and soybeans by 2020. Government officials have said that the country would introduce the use of the technology first on feed grains after cotton. China’s corn consumption is estimated to grow nearly 20 percent in the coming decade on demand for protein-rich meat and dairy products. Menopause… it’s a word many women dread and don’t really like to use. But in reality, it’s not the transition itself that is bothersome and uncomfortable. Postmenopausal women would confess that they feel relief not having their lives dictated by their menstrual cycle. First and foremost, do not panic. These symptoms are common, but the frequency and severity of which they appear to vary depending on health, age, and lifestyle. There are many natural remedies and lifestyle adjustments available to make your transition into menopause smoother and more enjoyable. Memory foam pillow: As levels of the hormone estrogen decline so does your body’s ability to control temperature. Hence the night sweats and the resulting sleep disturbances. A good pillow with a layer of flexible, air permeable memory foam will support your head and keep the temperature down. Sunscreen: Menopause results in your skin becoming thinner, more sensitive, and more vulnerable to the sun’s damaging effects. If regular sun protection isn’t part of your skin care routine yet, it’s not too late. Look for a daily moisturizer offering protection from both UVA and UVB rays. Bamboo underwear: You may have seen clothes made of bamboo in stores. They are similar to cotton but softer to touch. If hot flashes and night sweats are regular occurrences, the bamboo fabric will keep you cool by effectively absorbing sweat. Cooling spray: You can buy one at the store or you can make one yourself. Just add a few drops of menthol and peppermint oil to water. It’s a handy item to keep in your bag in case of an out-of-the-blue hot flash attack. A cooling spray can effectively reduce the heat sensation and leave you feeling fresh. Pomegranate Juice: Marketed as a modern superfood, pomegranate is packed with all-important vitamin C as well as plant-based estrogen-like compounds (phytoestrogens). 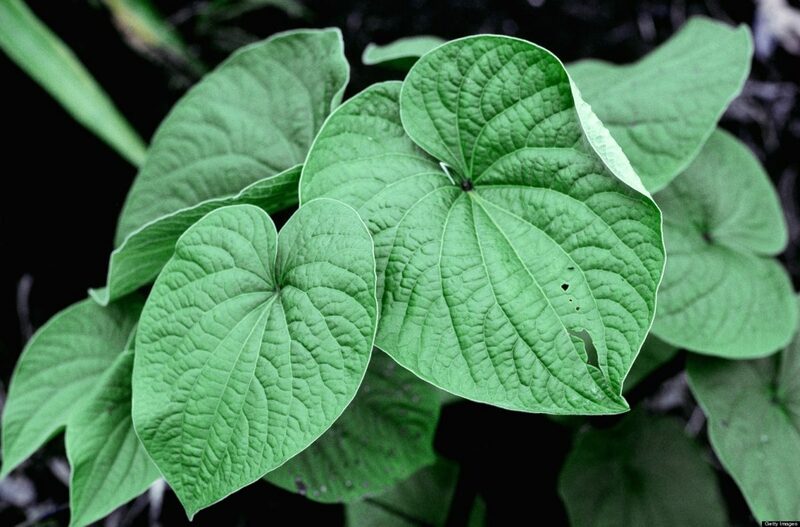 These phytoestrogens may be helpful in keeping your hormone levels in check. Menopause doesn’t have to be a living nightmare. Equipped with the right tools to keep you feeling cool, menopause will be a breeze. Are you on a diet? You can still enjoy Sandwich week! National Sandwich week runs from 14th to 20th May 2017 and according to the organizers, British consumers manage to munch their way through over 11.5 billion sandwiches each year. If you laid each one end to end, they would go around the world about 44 times. 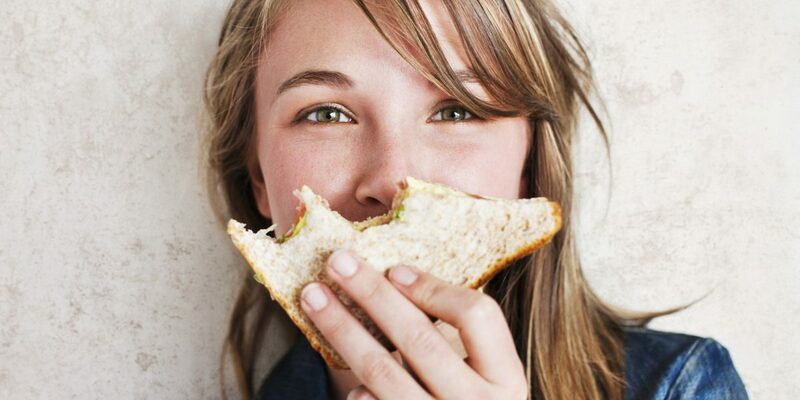 But with around 200 calories in 2 slices of white bread, and ready-made sandwiches often high in salt, they might be a treat for our taste buds, but not so great for our waistlines. Here are 5 sandwich swaps for some of the most popular diets: Vegan, Dopamine, Paleo, Gluten-free and Raw. A Vegan diet means no animal products at all, including butter, eggs, and dairy. To supplement your Vitamin B12 intake, Marmite is a great choice, top with bananas, which are full of Vitamin B6 that helps with brain development and function. The Dopamine Diet, popularized by celebrity chef Tom Kerridge, focuses on stress-busting ingredients to put a smile on your face. The Paleo, or ‘Caveman’ diet, consists of a high protein, low carb mix, mimicking the natural diet our ancestors had. If you can’t hunt or gather it, you can’t eat it. That means no pasta, cereal or bread. Gluten is a protein found in wheat, barley, and rye – going gluten free is recommended for treatment of coeliac disease. There are now many gluten-free pieces of bread on the market, but for a more interesting alternative, try using grilled Portabello mushrooms as your slices. Fill with melted cheese and chicken for a hunger-busting lunch. The raw food diet is based on the principle that heating food destroys the essential nutrients and enzymes that aid digestion. Anything processed can’t be eaten, so bread is most definitely out. You may have heard that doctors are getting away from prescribing opioids for chronic low back pain. New guidelines from the American College of Physicians (ACP) advise doctors to start with options that don’t involve any type of medication. This breaks from the World Health Organization tiered medication scale favored in the past. The scale previously focused on drugs that included opioids. What to try first for your back pain? “Cleveland Clinic very much advocates active physical therapy,” says Dr. Mayer. An exercise prescription can help to ease back stiffness and strengthen muscles that support the spine. This ancient Chinese technique involves inserting hair-thin needles into key points to ease the pain. “Acupuncture is better at relieving the radiating leg pain that can accompany low back pain. We often recommend acupuncture because relieving pain allows you to exercise and be active,” says Dr. Mayer. Individual, group or supervised exercise can make you sore at first. “But it can help improve your core strength, spine flexibility, endurance and balance,” he notes. Practicing these meditative forms of exercise from ancient India and China “has shown good benefit for those with low back pain, improving their function, endurance, and symptoms,” says Dr. Mayer. “Research shows this popular form of talk therapy improves coping, lessens social isolation and decreases the social impact of pain on your life,” he says. Combining psychological therapy with physical therapy and social work support is also beneficial. Placing electrodes at certain points allows you to control and release tension in your back muscles. “This improves function, positional tolerance, and muscle pain,” says Dr. Mayer. Relieving stress and focusing on the present help to take your mind off the pain. Gradually releasing tension in each part of the body can be helpful in easing pain, especially before bed. 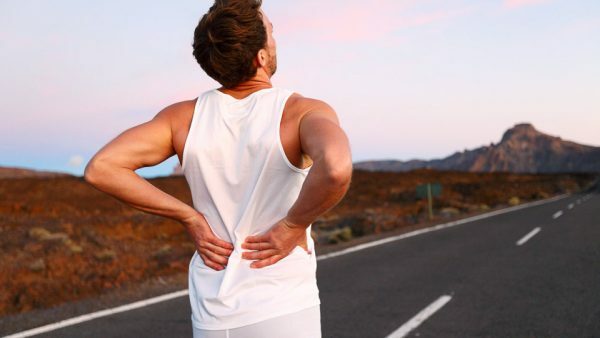 If you’ve been suffering with long-term low back pain, it’s worth exploring these non-drug treatment options before resorting to pills. You’re likely to find your quality of life improving. Veganism also extends beyond a person’s day on a plate – to the clothes they wear, for example – and subscribing to certain philosophies “that reject the commodity status of animals,” in every industry… not just food or fashion. Today, most of us do get enough to eat, in terms of calories, but we still may not be getting our essential micronutrients, such as iron and zinc. In other words, our focus has shifted from quantity to quality. This ‘hidden hunger’, a term used to describe dietary micronutrient deficiencies, must be taken care of. The answer, find researchers, is biofortification. 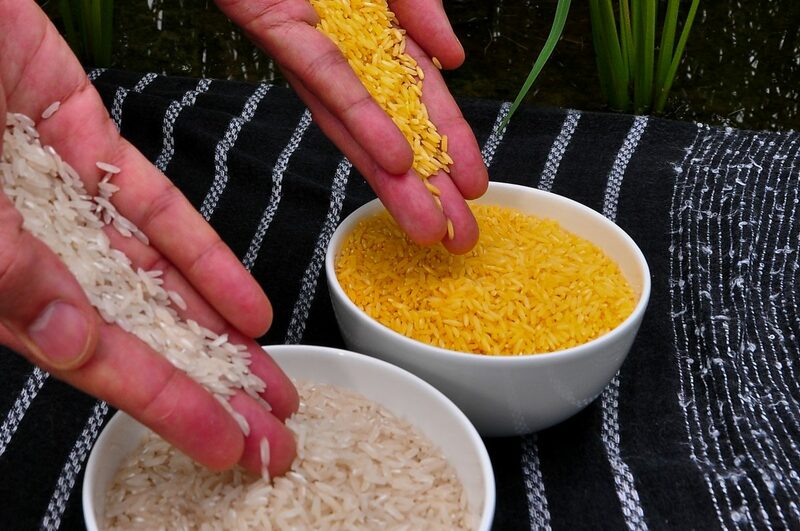 Golden rice is a variety of rice produced through genetic engineering to biosynthesise beta-carotene, a precursor of vitamin A, in the edible parts of rice. The most common micronutrient deficiencies are iron and zinc, with 2 billion people affected worldwide with anaemia (30% of the world’s population), says the World Health Organization. Vitamin A deficiency is not far behind. This triad, vital to our health, especially for the development of children, women, and other vulnerable sections (seniors or those who have low immunity), is the focus of biofortification research.